PRAGUE. Presidential Lounge of the Rudolfinum, 18th December 2016, at 10 a.m.
WALD Press publisher was founded in 1995 in the honour of František Wald (1861-1930), professor of theoretical chemistry and metallurgy, and Dean of the Czech Technical University. By now it has already become a yearly pre-Christmas tradition for WALD Press to confer the WALD Press AWARD to a special person demonstrating exceptional selflessness in helping those in need. 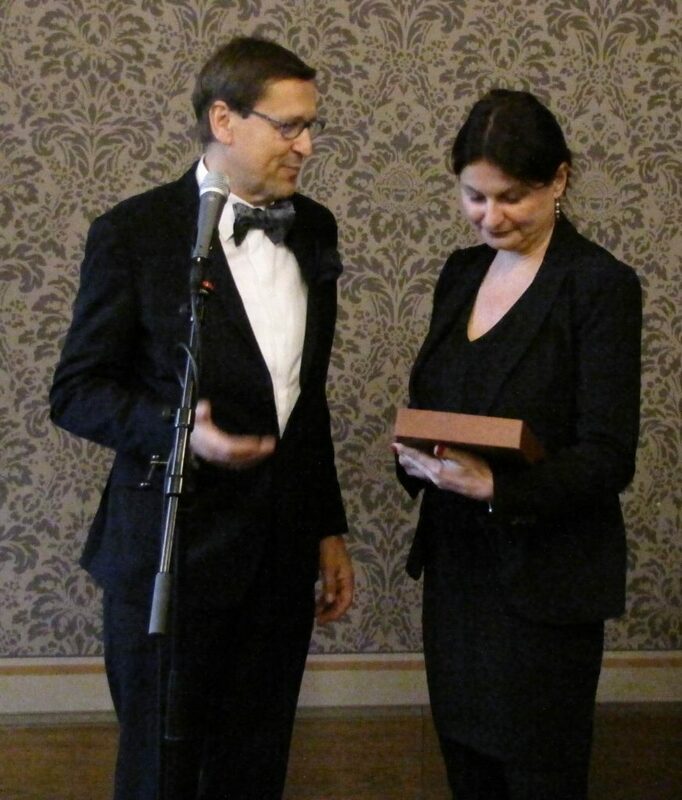 This years’ Commemorative Plaque goes to author, literary historian, script writer, translator and script editor RADKA DENEMARKOVÁ, whose novels bring the word humanism back into our lives by uncompromisingly addressing unpleasant social and socio-historical themes on an exceptionally high literary level. The author’s work not only explores new possibilities for the literary form of the novel itself, it also boldly breaks taboos by dealing with themes concerning society’s especially weak and vulnerable. The motto in the heading of the Commemorative Plaque states: “All my life I’ve stood by the side of the weaker.” These very words were expressed by František Wald himself when looking back and taking written stock of his life. Only the strongest among us can consistently stand with the needy, and this years’ WALD Press AWARD recipient, the strongest among the strong, is absolutely deserving of our heartfelt and grateful thanks.